Why is the Spanish Xmas Lottery Unique? 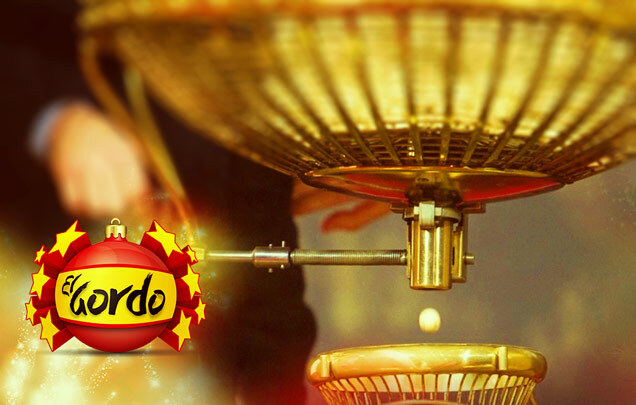 Many lottery fans have heard of the Spanish Christmas Lottery, sometimes called El Gordo. In English this translates to "the fat one" and it is indeed the heavyweight of international lotteries. The Spanish Christmas lottery is one of the most lucrative and prized lotteries in the world. In Spain, the name is equated with the "grand prize". In fact, it is not the only El Gordo, most Spanish lotteries have one, but if you said El Gordo to a Spaniard chances are that he or she would know which one you meant. What Makes the Christmas Lottery Special? The Spanish Christmas Lottery is a true lottery as opposed to the National Lottery or Euro Millions, which are technically lottos. A true lottery is more like a traditional raffle; there are a set number of winning tickets for a set number of prizes that are determined on the day of the draw by the total number of tickets sold. In contrast a lotto does not have to result in a jackpot win so they rollover and accumulate. Practically speaking a lotto must be ongoing while lotteries like El Gordo only happen once a year. The Spanish Christmas lottery pays out more money than any other lottery in the world, worth €2.24 billion in 2013. There are different classes of prizes but El Gordo distributes its prize money much more equitably than lottos do. A winning El Gordo jackpot ticket is only worth a relatively small €4 million but your odds of winning are significantly better, an almost unbelievable 100,000 to 1 in comparison to most lottos where your chances are less than 100,000,000 to 1. Players enjoy a 10 to 1 chance of breaking even. In Spain when this happens it is traditional to try again on a second smaller El Gordo that happens in the new year. Second and third tier prizes are worth hundreds of thousands of euros and there are also nearly 1,800 La Pederea, literally the “avalanche of pebbles“, are all worth €1,000 each. As the name suggests, the Spanish Christmas lottery is drawn just before Christmas on 22 December and in Catholic Spain there is quite a bit of religious imagery that accompanies it. The draw is in fact one of the major social events of the year, with over 90% of the population owning at least a portion of a ticket, families, friends and whole villages hold El Gordo parties to watch live on big screens which often go on long into the night. 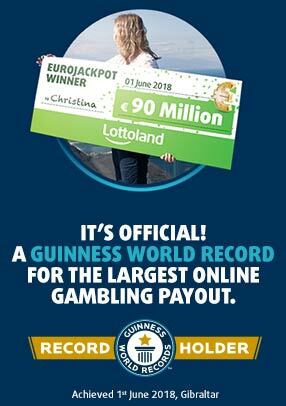 To participate in the official lottery you have to be a Spanish resident however at Lottoland we offer our players an even better alternative. You can bet on the results using the same numbers, with the same odds for the same prizes. We even take the stress out of queuing up for tickets as you can choose whichever numbers you wish and you can even choose to buy 1/100th portion of a ticket if you don’t want to spend a lot of money on a chance at a life changing amazing Christmas present! Today it is very easy for Irish lottery players to get involved with the famous Spanish Christmas Lottery, and to share in the world's biggest prize pool. Simply pay a visit to Lottoland's Christmas Lottery page to get started. The Spanish lottery requires you to pick 5 numbers of between 0 and 9. Remember that unlike the Lotto, the position of the numebrs is important, as you win prizes for matching the correct number in the right position. After selecting your numbers, you must decide how much of a share you want to buy. A full share costs €249.99, but in Spain this is considered too expensive for most people. Instead, people buy 'shares' of the full amount, with the €25 for 1/10th of the full share being the most popular option. At Lottoland you will pay even less than in Spain, because this 1/10th ("decima") ticket costs just €19.99 here. In fact you can select the share you want to buy, with 7 different prices on offer ranging from €4.99 up to €249.99. Once you have decided on your share, just click 'Submit' and you have purchased your virtual ticket. Now it's just a case of waiting for the draw on December 22nd. Good Luck! Why the Spanish Xmas Lottery is unique?